Short Nature walks and wildlife safaris ideal for small groups. Our New Series “Nature Walks & Wildlife Safaris in Western Ghats ” Tours are specially designed for the Nature enthusiasts who wish to explore a bit of extra than ordinary. All our Nature & Wildlife related programs are well crafted by our Naturalist Mr. Benny Kurien with proper guidance from our operational team. Mr. Benny is a Naturalist and Wildlife expert on Western Ghats of India with an in depth knowledge on the flora and fauna ,wildlife and bird life. He is associated with our Responsible Tourism initiatives through many Eco Tourism Societies in different Wildlife spots in the Western Ghats. This is mainly to support the tribal people to earn a decent livelihood. 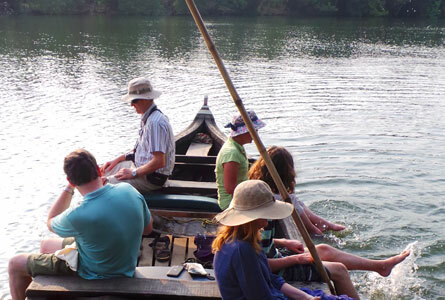 Mr. Benny is also a faculty on Naturalist courses conducted by Kerala Institute of Travel & Tourism Studies. The below tour is a good mix of short Nature walks and wildlife safaris ideal for small groups. Individual tours also possible with our local guides in many of the destinations. 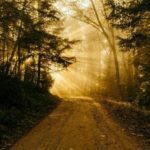 All our tours are open for customization in connection with the special interests of the travelers. 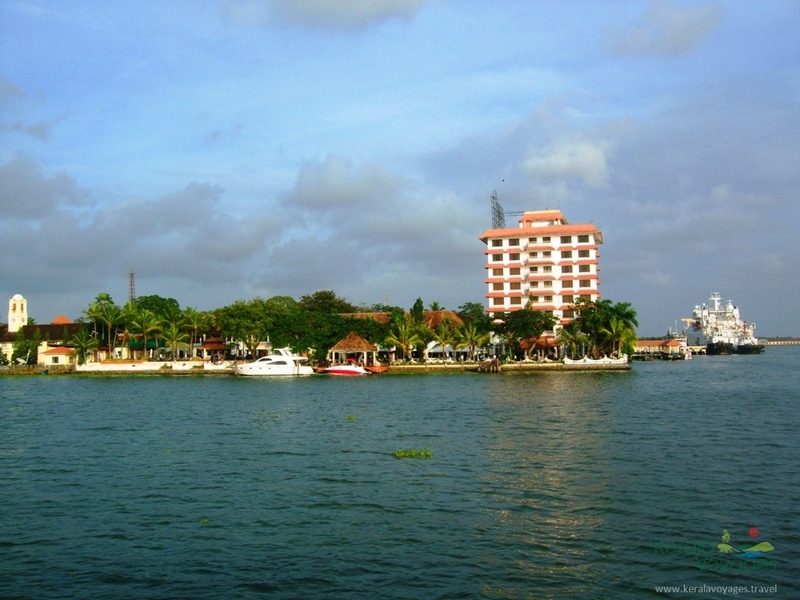 On arrival at Cochin Airport, you will be met & transferred to your hotel. Afternoon for free walks in Fort Cochin Area, watching Black kites, Bhraminy kites , terns and few migratory birds like Western reef egret. The estuary is an ideal habitat of Dolphins (Bottlenose). Evening, enjoy Greenix Show which is a kaleidoscope of Indian classical art forms and martial arts. Overnight at Hotel . Morning, after breakfast, proceed for a village backwater Cruise with lunch. Afternoon return to Cochin for a guided tour of Cochin. Overnight at the Hotel. Fort Cochin &Mattancherry are twin cities carry a flavor of the colonial era.Jewish,Arabs,Portuguese British all came to Cochin for trading and Mattancherry was the spice trade head quarters due to the proximity of Cochin Port.While Fort Cochin became the administrative head quarters, Mattancherry maintained its trading status.The colonial stature and buildings still make Fort Cochin a favourite destination for tourists. 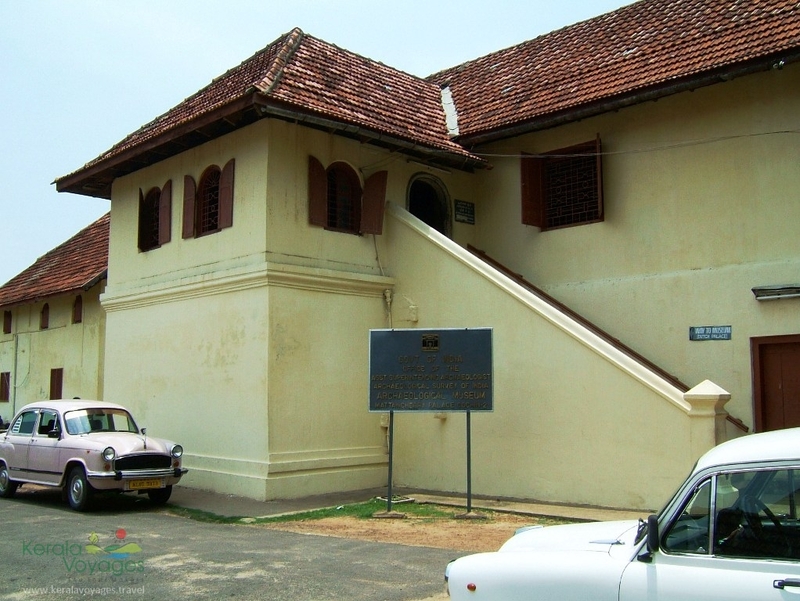 Its getting an upgrade once its declared as the first heritage city in India.Fort Cochin was also a part of Muzirisroute.It will be interesting to know that around 13 religious communities are harmoniously living in Fort Cochin and Mattancherry. Christians, Muslims, Hindus, Jews, Jains, Sikhsetc are few among them. Village backwater Cruise – A journey in a country boat into the pristine purity of a typical village backwater of Kerala…. goes through the zigzagging narrow canals and paddy fields fringed with coconut palms…..watch rare birds….country boat making….a natural fish farm where you can go fishing…. You will witness coir making,toddy tapping before you end up your exclusive experience in our Farm House for lunch -a delicious traditional Kerala dish under a tree… While scrolling through this amazing village,you will watch the common life of the villagers for their livelihood.You will see them fishing in the river,the women do the coir making,a toddy tapper who does his job as a routine,men climbing the coconut trees to pluck the coconuts,later peeling the same to prepare to dry and make oil extraction possible.Its all about a life experience which you will cherish throughout your life. The backwater village is an ideal habitat of many resident water birds like White breasted water hen, cinnamon bittern, black bittern , egrets, cormorants etc. The Island ecosystem is an ideal habitat of other birds like Racket tailed drongo, orioles(2sp. Seasonal) , koel, flame back wood peckers, king fishers (3 species), shikra etc. The reeds and riverside bushes harbours warblers and prinia. After breakfast,drive to Thattekkad Salim Ali Bird Sanctuary, one of the low altitude evergreen forests,situated by the banks of River Periyar. On arrival,check into your hotel and later go for a birding trek at Thattekkad and Urulanthanni rain forest patches.Overnight at your hotel in Thattekkad. Thattekad Salim Ali Bird Sanctuary, is one of the low altitude evergreen forest. It is a home for 280 species of birds including Grey hornbill, White-bellied tree pie, Rufous babbler, Wayanad laughing thrush, Grey headed bulbul, White-bellied blue flycatcher, Crimson-backed sunbird, Nilgiri wood pigeon, Malabar parakeet etc and a number of water birds. After an early breakfast,drive to Athirappally forest to watch the amazing waterfalls inside the forest.You will be taken for a guided soft trek through the banks of Athirappally River for bird watching. Latercontinue drive to Sethumadai throughSholayar Forest Range and Valparai,the beautiful tea garden route. Overnight stay at a farmsaty set on a private estate growing vanilla, banana & coconuts, in the edge of Anamalai Tiger Reserve . You will be received in Athirapally for a 2hrs birding walk through catchment of Chalakudy river, which is an ideal habitat of Malabar Pied hornbill (Anthracoceroscoronatus). 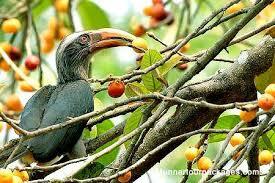 It is one of the best hotspot for Malabar Pied Hornbill in Western Ghats. The drive from Athirapilly to Anamalai through Sholayar rainforest, Anamalai forests of Valpari will give ample scope for spotting Malabar Grey horn bill (endemic), ruby throated bulbul (endemic), Great Hornbill, Emerald pigeon, Indian Dollar bird, Grey Headed fish eagle, and many other species of forest birds. During the drive we have only permission to stay short time slots for birding. This drive will also gives us chances of spotting two endemic species of primates of Western Ghats, wild gaur, giant squirrels, elephants etc. 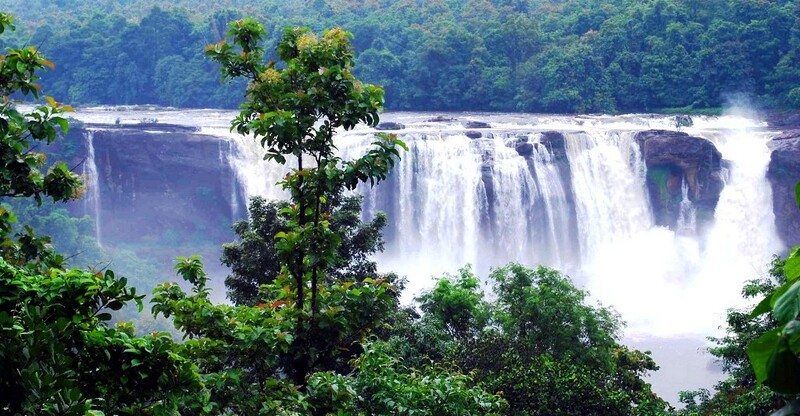 Athirapally waterfall nicknamed as “The Niagra of India”, is situated in Thrissur district of Kerala, on the southwest coast of India. Located on the west-flowing Chalakudy River near the Vazhachal Forest Division and the Sholayar ranges, this 42-metre high waterfall and the nearbyVazhachal Falls are popular tourist destinations.It is situated on the border of Sholayar Forests of the Western Ghats in South India. From the point of view of a Naturalist or Wildlife enthusiast,these waterfalls consist of 14850 hectares of tropical wet, evergreen, semi-evergreen and moist deciduous riparian forest ranges. The protected forestland of Athirapally&Vazhachal is one among the world’s top biodiversity hotspots, as it serves as a home to endangered, as well as some threatened species of flora and fauna. 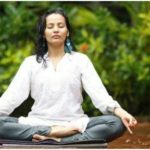 This place supports the natural riparian ecosystem which consists of about 319 species of flowers out of which 24 are endemic to the Western Ghats and 10 are rare and endangered. Out of 85 species of fresh water fish found in River Chalakudy, 35 are endemic and 9 are endangered species.Forest wildlife in the area includes the Asiatic elephant, tiger, leopard, bison, sambar, and lion-tailed macaque. The unique 180 metres (590 ft) elevation riparian forest in the Athirappilly-Vazhachal area is the only location where all four South Indian species of hornbills — the Great Hornbill (the State Bird of Kerala), Malabar Pied Hornbill, Malabar Grey Hornbill, and the Indian Grey Hornbill are found living together.Its been said that the Vazhachal forest division is the second most biodiverse area in the State. The International Bird Association has declared it an ‘Important Bird Area’ and the Asian Nature Conservation Foundation has recommended that the area should be declared a sanctuary or a national park. The Wildlife Trust of India says it represents one of India’s best elephant conservation efforts. Anamalai is located in the foothill of Anamlai Bio-sphere and the highest mountain in South India. 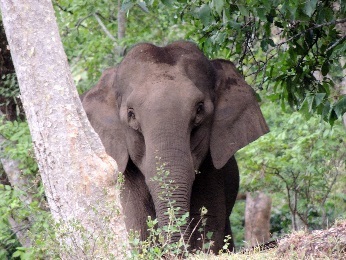 This day is for a visit to Anamalai Tiger Reserve, sharing flora and fauna with Parambikulam Tiger Reserve. Walking safari through MaruthumKoodam moist deciduous forest and Kariyanchola Rainforest for wildlife and birds (GPH, SFG etc). Early morning go for a safari at Anamalai Tiger Reserve and later a walking tour at Parambikulam Tiger Sanctuary.Today we will go with packed lunch. Early evening return to your farmstay to go for a Nature trail through the estate to try sighting butterflies, Paradise flycatchers and blue-winged parakeets. Later in a dusk walk we can try owling for mottled wood owl. Overnight at Farmstay. Sethumadai village around Anamalai Tiger reserve is so great to walk around and full of vegetation.You will pass through thick plantations of banana,Coconut and other vegetables.There are few units processing Coconut and its by products like coir,coconutoil,cattle feed etc.The village is so lively with men and women working in the fields,children going to the local school,regular ceremonies at the village temple and so on.Though roads are good and facilities like water and electricity are in abundance,we may see that the urban culture is yet to enter this village. Target species : Sri Lankan frog mouth, yellow throated bulbul, gray headed bulbul , Indian pita Kerala laughing thrush etc. apart from other forest species. After breakfast,drive to Ooty which is a nice climb through the Nilgiris.Afternoon visit Botanical Garden.Overnight at Hotel. Ooty stands at 7,347 feet above sea level in the Nilgiri mountain range. The landscape is marked by rolling hills covered with dense vegetation, smaller hills and plateaus covered with tea gardens, and eucalyptus trees. Many portions of the hills are preserved as natural reserve forests. Target species : Black and orange fly catcher, Nilgiri wood pigeon, Nilgiri fly catcher, Wayanad laughing thrush, Nilgiri laughing thrush, etc. After breakfast,drive to Bandipur Forest.You will be driving through Mudumalai Wildlife Sanctuary.On arrival check into your resort set on the borders of the Sanctuary.Evening go for a guided safari through the Sanctuary.Overnight at Hotel. Extremely picturesque drive through the plateau towards South east section of Nilgiri bio reserve, where Bandipur National Park and Mudumalai Tiger Reserve is located. 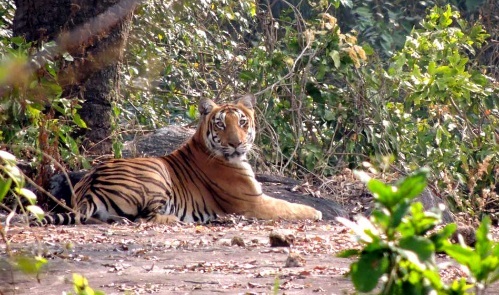 The Bandipur National Park is one of the most fascinating wildlife centers, nestled in the foothills of the Nilgiri. As you penetrate deep into the forests, you can almost hear the mute conversations between the animals and the trees. There’s a lot, lot more to discover. Peafowl, patridges, quail, hornbill, giant squirrel, dhole (wild dog) elephants, sambhar, barking deer, etc. An endless variety of wildlife flourishes here and the trees sheltering them are even or beautiful. The green fauna and flora of these rain forests are unimaginable with a thick population of wild animals.If you opt for a safari,you will be taken deep into the forest in safari jeeps/vans escorted by the wildlife wardens. Early morning and evening guided safaris inside the sanctuary. During day time, go for short walks around the resort to spot birds and other wildlife. Overnight at Hotel. Bandipur National Park is a playground for wildlife with elephants taking the lead role.Be prepared for an unforgettable experience-you might see a tiger prowling amidst the mix of deciduous and evergreen forest and scrubland vegetation.Set against the picturesque backdrop of the enchanting Nilgiri Mountains with their mist-covered peaks,Bandipur was once the Mysore Maharaja’s private hunting ground. It was brought under project Tiger in 1974.This is one of the best game sanctuaries in India to observe and photograph wildlife in close proximity.A temple perched atop HimavadGopalaswamyBetta,the highest peak in the Bandipur range,is worth a visit.Bandipur National park has an area of 874.2 Sq.Km and flanked by Karnataka’s Rajiv Gandhi National Park to its northwest,Tamilnadu’sMudumalai Wildlife Sanctuary to its Southwest and Kerala’s Wayanad Wildlife Sanctuary to its Northwest.Together these constitute the Nilgiri Biosphere Reserve.The Flora and Fauna are of deciduous and evergreen forsts and scrubland vegetation. Mammals include the tiger, leopard, elephant, gaur, slothbear, Dhole, sambar, spotteddeer, barkingdeer, mouse deer and the slender loris.Reptiles found are rat snake, Russell’sviper, common krait, Indianpython, flying snake and the cobra.Over 200 species of birds have been identified making it a bird watchers’ paradise. Some of the most notable ones are the heron, stork, egret, grey jungle fowl, partridge, quail, greenpigeon, hornbill, lapwing and peafowl. Morning, proceed to Nagarhole National Park, where former Maharajahs of Mysore used to go for hunting.This deciduous forest patch inhabits Tigers, sloth bears, leopards, elephants,differentmonkeys,Malabar trogon and Indian pitta. On arrival, check in at the Hotel. Evening go for a safari. Overnight at the Hotel in Kabani. Early morning go for a guided Jeep Safari through the National Park.Evening go for a boat safari through Kabaniriver.Day time for visiting local tribal village and birding spots. Overnight at the Hotel in Kabani. Nagarhole ,a Kannada name has meaning of Snake River.The name derives from the winding course of the river that flows through the forests.Nagarhole has an astonishing abundance of wildlife,especially the Asiatic elephant.The backdrop of the distant misty blue Brahmagiri Mountains,the natural sounds of the jungle,the gurgling of streams and rivers and the twittering of the birds,make a trip to Nagarhole a memorable experience.It has an area of 643.39 Sq.km. Covered mainly by moist and dry deciduous forests, and dominated by teak, rosewood and dry deciduous forests in the eastern limits of the peak. Mammals include elephant, tiger, leopard, wilddog, sambar, barkingdeer, slothbear, wildboar, Indianbison, mousedeer, spotteddeer, slenderloris, black –napedhare, jackal, langur, wildpig, porcupine, Malabarsquirrel, striped hyena and four-horned antelope. Birds like Herons, storks, egrets, ducks, kites, egales, falcons, partridges, peafowl, lapwings, sandpipers, woodpeckers, sunbirds, wagtails, warblers, babblers, shrikes and owls are found in this park. Reptiles commonly found are marsh crocodile, star tortoise, common Indian monitor, chameleon, ratsnake, Russell’sviper, common krait and Indian python. Early morning go for a final safari.Later after breakfast,drive to Mysore. After lunch , visit to Mysore palace, Devaraja Vegetable, flowers and fruits market. Mysore is known as the city of Palaces and the entire architecture and decorum of the place is in harmony with the Royal style for which Mysore is known.The still existing colonial buildings add charm to the Royal city.Overnight at Hotel. 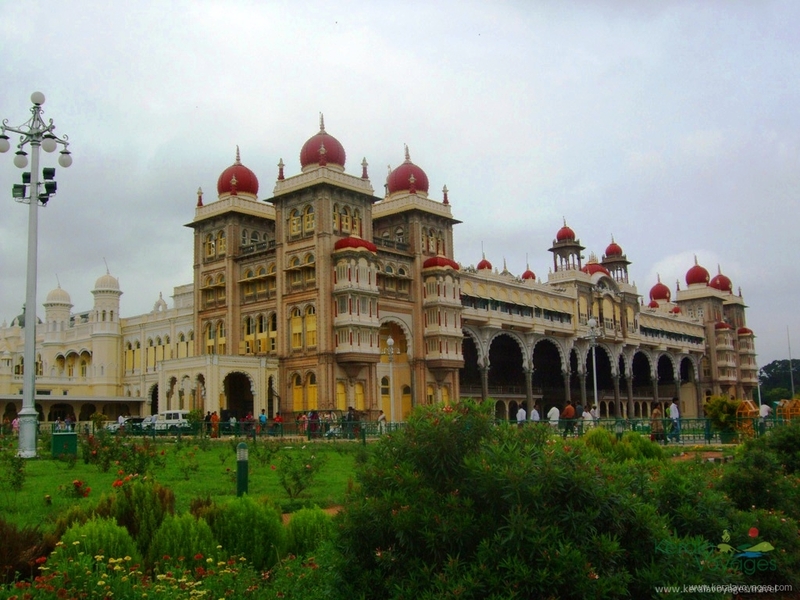 Maharaja’s Palace is a synonym for Mysore in the Tourist Map. Its built in Indo-Saracenic style with domes, turrets, arches and colonnades.The Palace is a treasure house of exquisite carvings and works of art from all over the world. The walled Palace complex houses the Residential Museum, temples and shrines including Shwetha Varahaswamy Temple. The jewel studded golden throne,the pride of the Wodeyars and the symbol of their sovereignity, displayed here during Dussehra festival in October. The Palace will be lit with One Hundred Thousand electric bulbs on Sundays and Public Holidays. After breakfast, drive to Kekkerebellur Pelicanery. 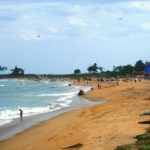 You may stop at Maddur village entrance on the highway to have your lunch before driving to Bangalore.Later drive to Bangalore for overnight stay. Kokkerebellur Pelicanery is in Maddur village. This place is famous for its Spot Billed Pelicans and the Painted Storks that can be sighted here in large numbers during season time. This scenic village has paddy fields, cattle, water, and lots of exotic birds. Kokkare is the local name for “Painted Storks” that are very famous in this region, “Bellur” meaning village of jaggery (raw sugar from sugarcane); hence, the village has derived its name from the bird. Other than Pelicans , Storks and other water birds are richly seen in the fields around. The village itself is a nice haven for a relaxed lifestyle. Its a great job done by the villagers to protect it as a silent haven for their favouritebirds. Every child in the village has a story to tell about the migratory birds in the village.They keep an open orphanage for the birds with handicap etc.Its amazing to see a full village where the birds are at full freedom living in harmony with other domestic birds and animals. Morning go for a short orientation tour of Bangalore. Afternoon at leisure. You may opt for shopping on your own. Overnight stay at Hotel. Today you will be transferred to Bangalore International Airport to connect your flight home.